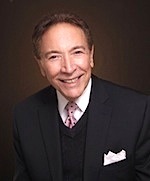 Primavera Public Relations was founded by Bill Primavera, recognized as a leader in forecasting and communicating lifestyles trends and preferences. With early experience as a reporter for a restaurant newspaper and as a publicist for the world's largest public relations firm where he managed food, wine and restaurant accounts, Bill was recruited by The Culinary Institute of America to serve as its first public relations and development director. The special ability of his firm was to create platforms that sparked trends and influenced consumer preferences, such as the Symposium on American Cuisine which literally defined native American cooking and identified its regional exponents. Another initiative transformed the former Newspaper Food Editors’ Conference into a cutting edge International Food & Lifestyles Media Conference which served as an exchange between food and beverage producers and the media; and, for food professionals and restaurateurs, the Restaurant Futurists Conference forecast trends for upscale restaurants. In recent years, with the addition of other talents and expertise, Primavera Public Relations has expanded its reach beyond lifestyles into the representation of other types of businesses, both large and small, including interior designers and architects, residential and commercial real estate companies, construction and development projects, retail stores, downtown re-development programs, non-profit organizations, sports, and health-care institutions. If you have a business, product or service that has a story to be told, let Primavera help you tell it.